Where to drop in and play soccer, football, futsal, futbol, footy, pelada, kickabout in New York? Where to play european football in New York? What are the best places to show up and play soccer or football in New York? Where to play amateur co-ed drop in soccer in New York and Manhattan area? 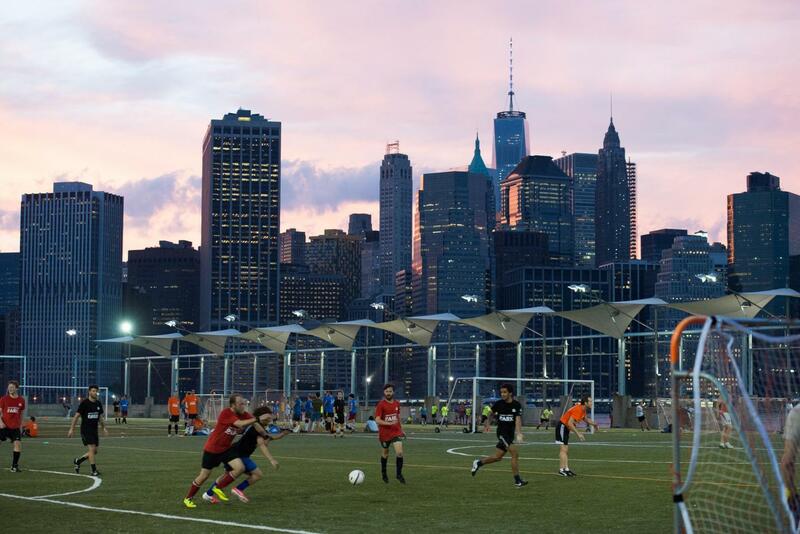 What are the Top 10 best places to play soccer in New York City? Central Park Anyone can drop in and play. All skills level, the quality is not very good. Sarah Delano Roosevelt Park Prime location on the Lower East Side. Oftentimes in the evening you see organized games or a pick-up game in progress. Just one field but it is nice. I've yet to try it out myself but it is definitely worth consideration! Nice field, good games.